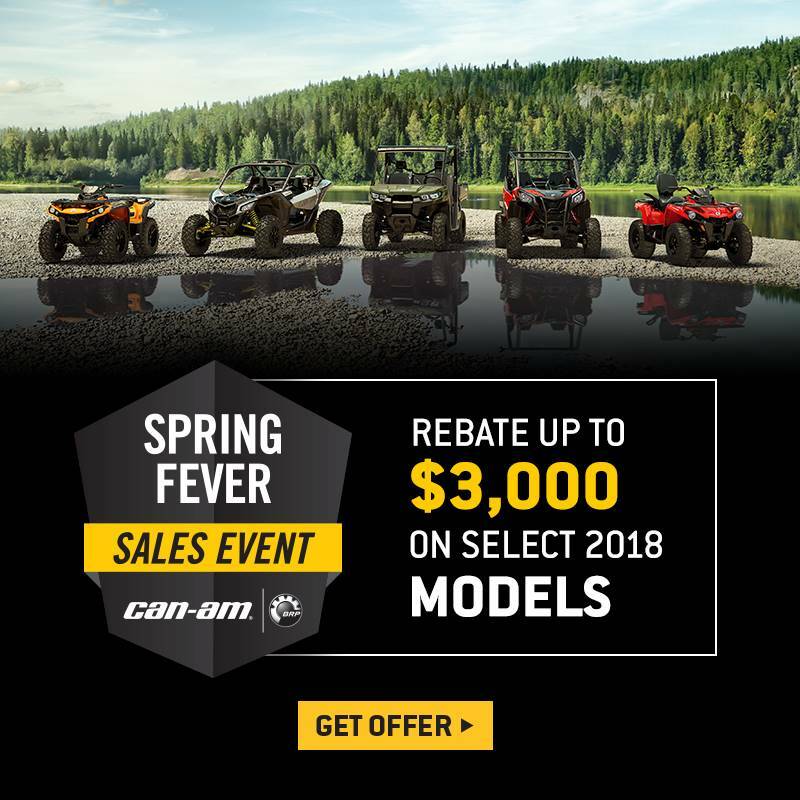 SPECIAL price, including BRPs current rebate, good until, January 5,2018! ACT NOW! 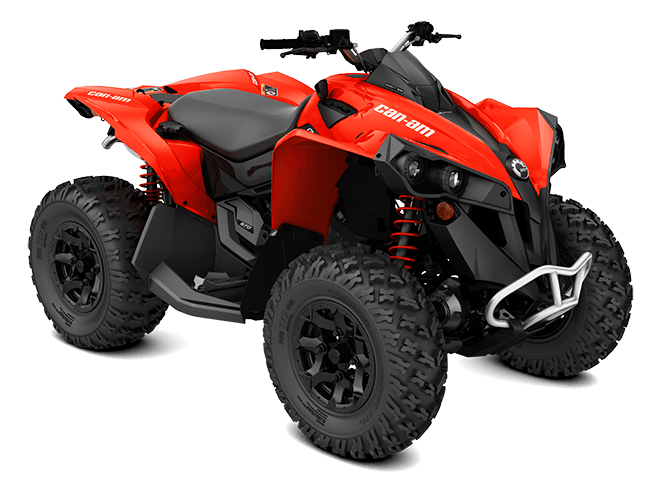 ROTAX V-TWIN ENGINE OPTIONS: Available with the 48-hp Rotax 570, new 78-hp Rotax 850 or 89-hp Rotax 1000R liquid-cooled V-Twin engine, with four valves per cylinder and single overhead camshafts, the signature Can-Am engine lineup offers unmatched power for a true performance edge. 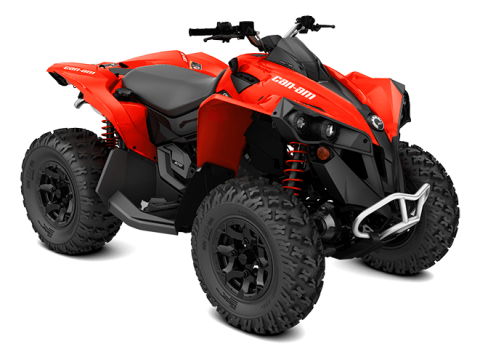 FRONT AND REAR FOX HPG SHOCKS: The Renegade 1000R and 850 is equiped with FOX preload-adjustable high-pressure gas (HPG) shocks, front and rear, with a specific calibration to soak up both high- and low-speed bumps and keep the ride smooth. The Renegade also offers a ground clearance of 10.5-in. (26.7 cm). 25-IN. ITP HOLESHOT ATR SPORT RADIAL TIRES ON 12-IN. CAST ALUMINUM WHEELS: A versatile tire for proven, all-around trail performance and traction in a wide variety of conditions. Installed on 12-in cast-aluminum wheels, with a centerless design that reduces unsprung weight and offers improved strength. Durability was increased in strategic areas while excess material was eliminated in other spots to save weight.